Hair care is definitely for everyone. Men may not have as many styling products and tools as women, but a gentleman like you must cultivate good grooming habits. Healthy hair is a must, and it starts with a healthy scalp. 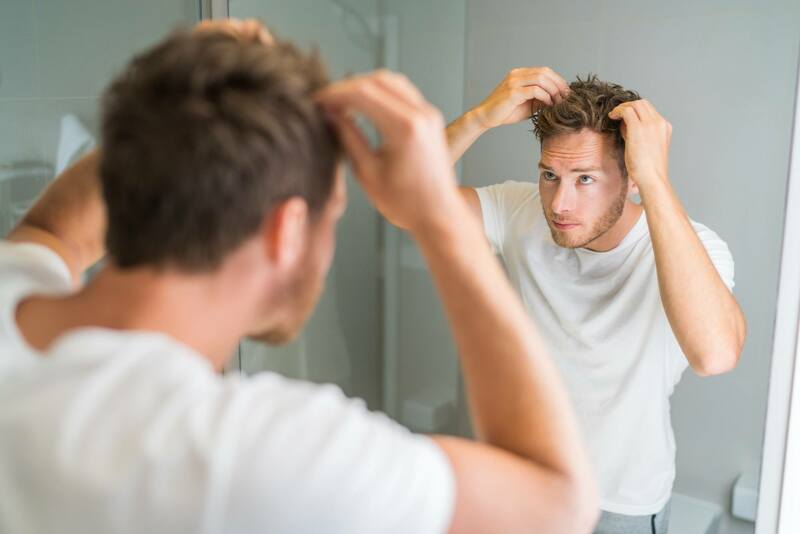 Trendy hairstyles such as mohawks and undercuts leave a huge part of the scalp exposed, so before you jump on these trends, read these scalp care tips and take them to heart. Using the right shampoo is essential to good grooming habits. Sweat and dirt may build up on the scalp, especially if you endure long commutes and various vehicle transfers on your way to work. Using gels and waxes can also cause product buildup on your scalp. Make it a habit to clean your hair and scalp with a deep cleansing shampoo once to twice a month to get rid of dirt and product buildup without removing the natural oil on your scalp. Editor’s tip: Pour a coin-sized amount of CLEAR Deep Cleanse Anti-Dandruff Shampoo for Men onto your palm and massage through your scalp to cleanse it effectively. Does your scalp often itch? Your scalp may be irritated by some ingredients in the hair products that you use. You may also have a condition called seborrheic dermatitis, which occurs in oily parts of your body like your scalp. When the bacteria called Malassezia globosa, which naturally occurs on the scalp, interacts with your natural oils, it breaks down into oleic acid, a known irritant that causes itching and even scaling. Seborrheic dermatitis may seem like dandruff because of the itching, but it is different. Wash hair with an anti-dandruff shampoo first, and if your condition doesn’t improve, consult with a dermatologist to get prescribed with the right treatment. 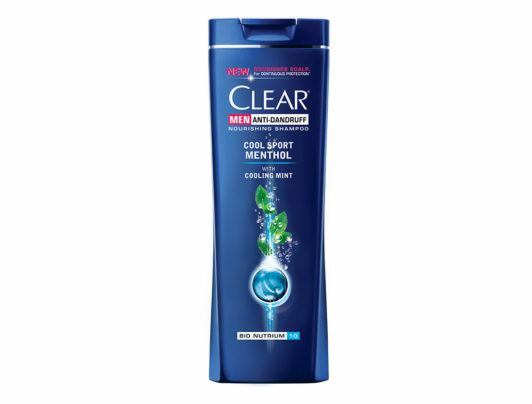 Editor’s tip: Try Clear Cool Sport Menthol Anti-Dandruff Shampoo for Men. It has Bio-Nutrium 10 which activates your scalp’s natural protective layer, keeping dandruff at bay. 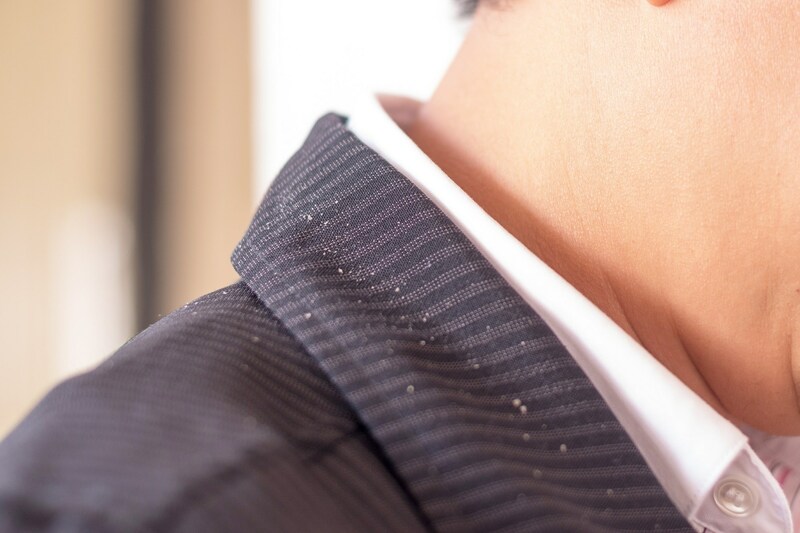 Check your collar and shoulders for white flakes. If you sport mohawks, undercuts, or semi-bald hairstyles, dandruff can be more obvious. You wouldn’t want people to get turned off, would you? When looking for an anti-dandruff shampoo, check the list of ingredients. It must have zinc pyrithione, which can help treat dandruff and keep bacteria from growing on your scalp. Showering seems like a basic thing that everyone already knows how to do, but some showering habits may be bad for your scalp. Here are things to remember when going for your much-awaited shower. Rinse with cold water so you don’t damage your scalp. Sure, we all love a warm bath once in a white, especially on cold mornings. When the water gets too hot, however, you start putting stress on your hair and scalp. Water at very high temperature can damage the scalp. Set your shower heater to lukewarm, or better yet, rinse your hair with cold water. It’s better for your scalp. Be gentle on your scalp. Massage, don’t rub. Did you just have a busy, sweaty day? You might be tempted to scrub your hair and scalp vigorously with your favorite shampoo. Well, here’s a bit of friendly advice: DON’T. Scrubbing your scalp doesn’t make it extra clean. In fact, it can cause your scalp to get damaged or irritated. Simply massage your scalp gently with your fingers while lathering, and keep your fingers from touching your scalp while doing so. Shampoo, lather, rinse. Sounds simple and easy, but it doesn’t mean you should do them immediately after the other. Even the best anti-dandruff products need some down time to get the job done, so it’s important to let your shampoo sit on your hair and scalp for a good two minutes before rinsing it off. This allows the beneficial ingredients in your shampoo to have enough time to properly cleanse your scalp of excess oils, dirt, and microbes—all while nourishing your scalp and hair. 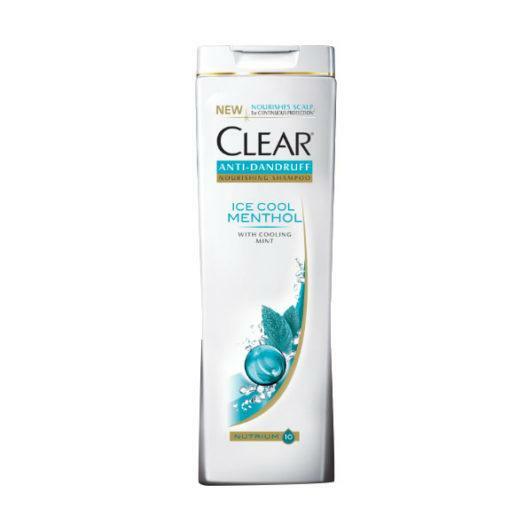 Editor’s tip: Enjoy a cool and refreshing feel on your scalp by using CLEAR Ice Cool Menthol Anti-Dandruff Shampoo. Make sure your hair and scalp have been thoroughly rinsed before stepping out of the shower. A quick shower may keep you from getting to work late, but you may be leaving product residue on your scalp. This is a big no-no. When you don’t rinse properly after lathering, you leave unwanted sebum on your hair and scalp. 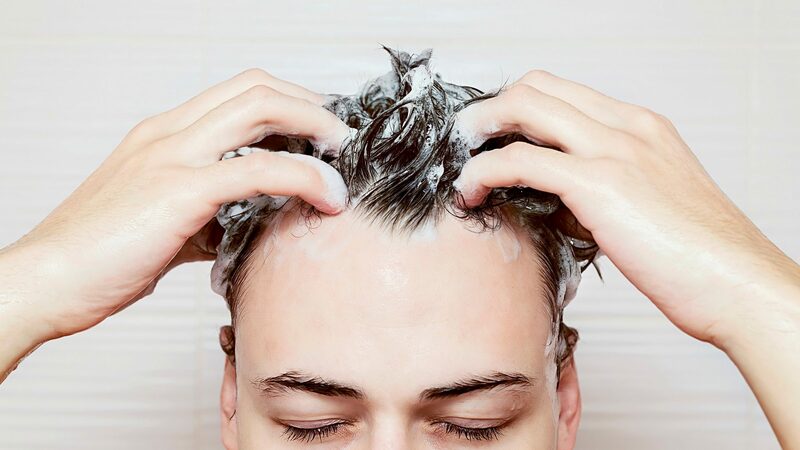 Rinse your hair (preferably with cold water) for at least 30 seconds, working your fingertips thoroughly through your hair to get the shampoo out. The thicker your hair, the longer the rinse. Healthy hair begins with a healthy scalp. Always remember these scalp care tips because the best haircuts would do you no good if your scalp is itchy and flaking. 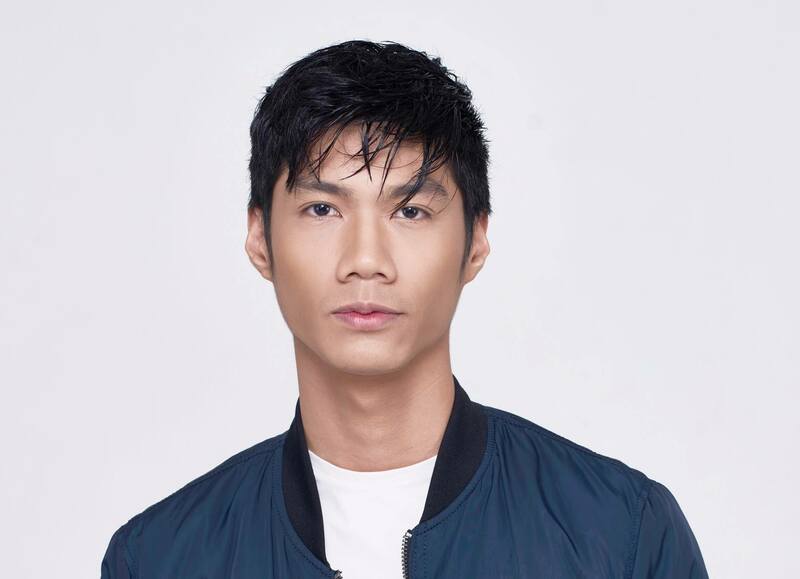 With a healthy scalp, you can rock any hairstyle, whether it’s long, short, or bald. 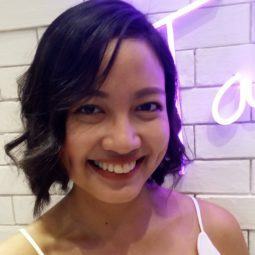 Next read: Itchy scalp, even if you don’t have dandruff, can be a major turn-off. Stop all that head-scratching with these simple ways to prevent itchy scalp.